Hi! My name is Casey Morris, the owner of Pirate and Pixie Dust Destinations, the wife to Jeremy and the mom of our 9 and 6 year old daughters. I grew up traveling to Disney often, which is where my love for the mouse started. In my first career, I worked as a registered nurse in women’s health/labor & delivery for 10 years. 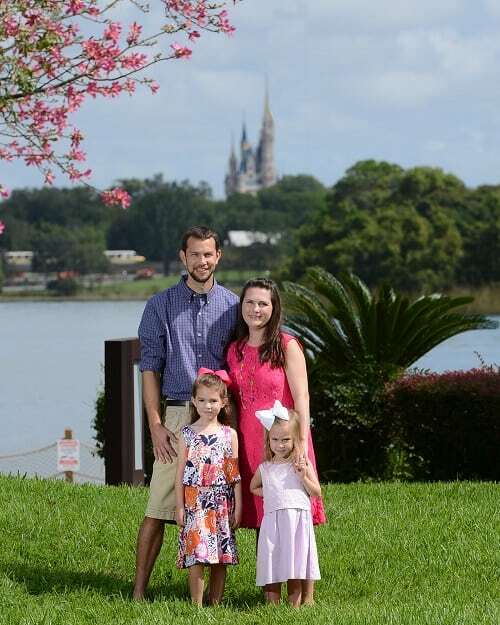 I left that career to be able to help other families experience the magic of a Disney vacation. Walt Disney World, Disney Cruise Line, Universal Orlando, All Inclusive Resorts. Walt Disney World – 50+ visits; Experiences –International Festival of the Arts, International Flower and Garden Festival, International Food and Wine Festival, Mickey’s Not So Scary Halloween Party, Mickey’s Very Merry Christmas Party, Keys to the Kingdom Tour.